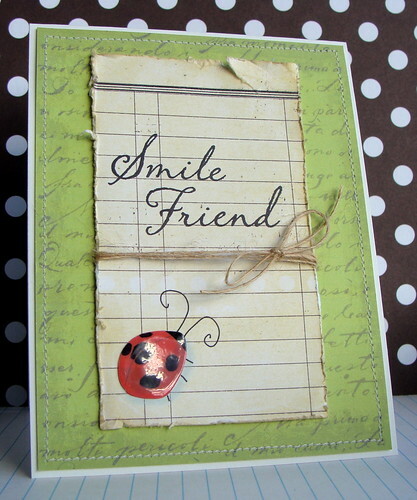 So I made a couple of 'Smile' cards today - playing with some new digikits. 'Sugar and Spice' by Brandy Buffington has the lovely ledger paper in from both the cards, as well as the pretty paper I printed the butterflies on to. 'Earthsong' by Rocco Baviera has the lovely ladybird and green paper. I layered over Hero Arts 'Long Handwriting' before printing. The sentiments are from THIS HA set - my new favourite. Love these, lucy! The ladybug is fabulous! 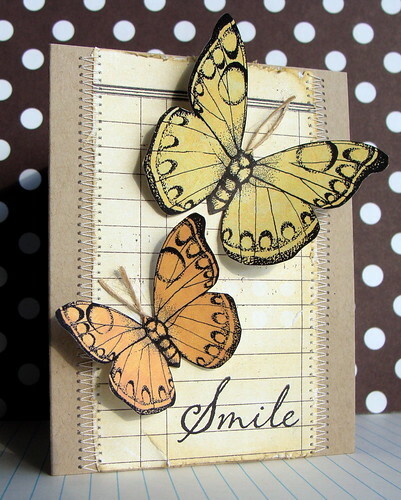 Gorgeous, big butterflies on the 2nd card! very sweet card, Lucy!! lovely! Love that distressed ledger paper! These are so happy and they make me SMILE! Ladybirds and butterflies certainly are friends - in our gardens that is! Great cards. Ohhh...I LOVE LOVE LOVE your cards, Lucy! !